Exclusive deals for UOB cardmembers. Enjoy 8% off hotels in Australia and New Zealand. Promotion is valid for bookings made from 1 - 30 Sep 2018. Exclusive deals for Hong Leong Bank cardmembers. Enjoy 8% off hotels in UK, Paris, Italy, Iceland and Barcelona. Promotion is valid for bookings made from 1 - 30 Sep 2018. Exclusive deals for Citibank cardmembers. Enjoy 8% off hotels in Singapore and Vietnam. Promotion is valid for bookings made from now until 30 Sep 2018. Exclusive deals for Maybank cardmembers. Enjoy 8% off hotels in Singapore, Australia and New Zealand. Promotion is valid for bookings made from now until 14 Aug 2018. Exclusive deals for Hong Leong Bank cardmembers. Enjoy 8% off hotels in Thailand and Indonesia. Promotion is valid for bookings made from 1 - 31 Aug 2018. GSC movie ticket at flat rate RM10! If you are Hong Leong Bank credit card holder, you can enjoy extra RM6 off for purchase via online. Enjoy flat rate of RM12 for Preferred Seat every Saturday and Sunday at all TGV Cinemas ticketing counters in Malaysia. Get one additional ticket with every purchase of one Ant-Man & The Wasp Maybank IMAX ticket when you use your Maybank credit card. Fly to Hong Kong, Taipei and Guangzhou from RM199 inclusive of premium services! Book now and fly immediately. Exclusive deals for CIMB cardmembers. 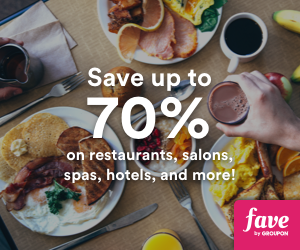 Enjoy up to 7% off hotels for all destinations. Promotion is valid for bookings made from 1 Jul - 31 Aug 2018.